The Beatles, Yes, Genesis or why not Swedish 70s as Kebnekajse? Common to all of them is that they almost have at least one guitarist. When the Örebro band Blue Lotus was formed, it was instead done with the conscious thought of playing progressive rock music without a single guitar in sight. And it seems that they succeeded – the debut album has been released and on February 24th you will be playing at Kulturhuset in Örebro. Blå Lotus is a tremann band and consists of Wiktor Nydén on drums, Linus Karlsson on bass and Fredrik Andersson on the organ. “I’m actually a guitarist but have been training me on the organ just because I like Hammond organ as much,” says Fredrik when we meet in the Varberga replica for a chat. Blå Lotus was formed in November 2016. Fredrik and Linus had jammed in earlier constellations but began talking about trying again with as few members as possible. The choice to play some kind of progressive hard rock fell naturally when all members like the genre and doing without guitar was a creative choice and a challenge in several ways. “It gave us some kind of creative limit. Blå Lotuss debut album “Tube Alloys” was released by the Florida-based record company Melodic Revolution Records. “It’s a small enthusiastic indie company. 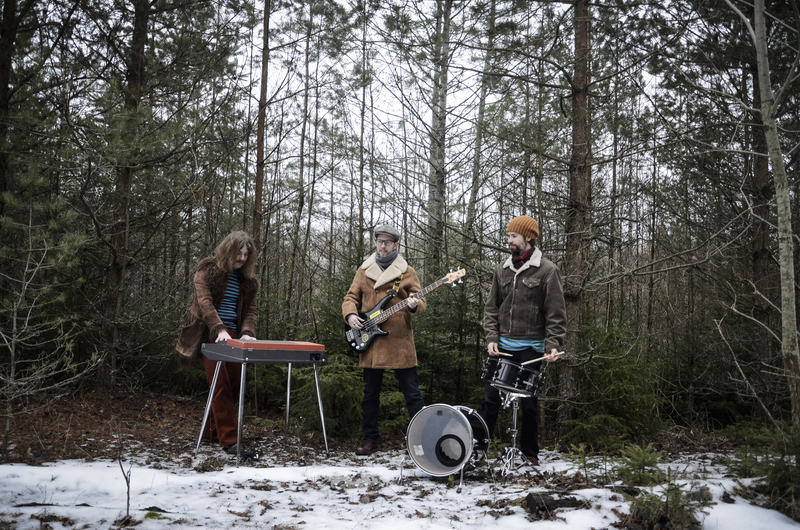 They really love this music and then it feels much better for us, “says Fredrik. How did you get in touch with them? Linus: We sent a song from the record and wrote that if they liked it, there is more. And they did. Fredrik: When I was playing Stratus, we recorded two discs that nobody was lucky to give out. Here they took it straight off. Wiktor: And it was nice that they did not want to fool in what we did. L: It’s actually a producer role we’re talking about and it’s nice to be able to cup with someone outside, but we’re not really there yet. F: In principle, I’m being produced so I’ve bumped with myself. L: For me, it is Swedish 60/70-talks. W: Deep Purple, Sabbath mixed with some Yes and Genesis as well. F: Beatles are my house gods. They invented everything first. But it’s hard to define progrock. Somebody says it sounds like that or so and that’s okay, it’s not wrong to like that. It’s not right to put your finger on what progrock it sounds like. The album was released digitally on January 12th and at the time of writing a crowdfunding campaign is being launched on the record company’s website to release it on vinyl. If that’s the way it’s just the second album ever that Melodic Revolution Records releases on vinyl. Now the time is spent in the repository before the official release court on February 24 at Kulturhuset. Supportes make friends in the fuzzrockband Machine and Örebro Ölcafé is there and stands for refreshments. After that night, more people will learn that rock music can be played without guitars.